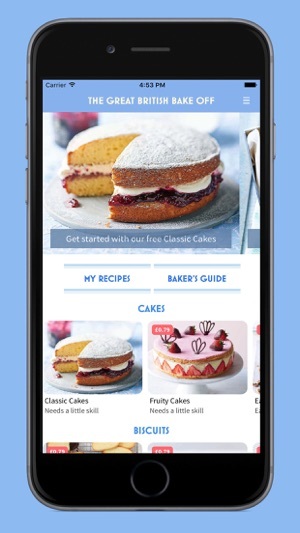 Whether you dream of joining the bakers in the Great British Bake Off tent one day, or you just want to be a star baker in your own home, this app is designed to take you step by step through the methods, tips and techniques you need to create the most delicious bakes. 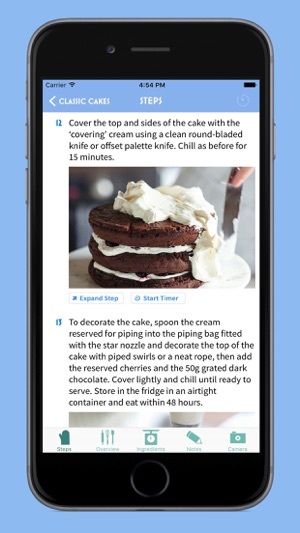 Each recipe has a difficulty rating so you can choose the right one for your skill level, and clear step-by-step baking instructions. -	A selection of free recipes to start you on your journey towards better baking. 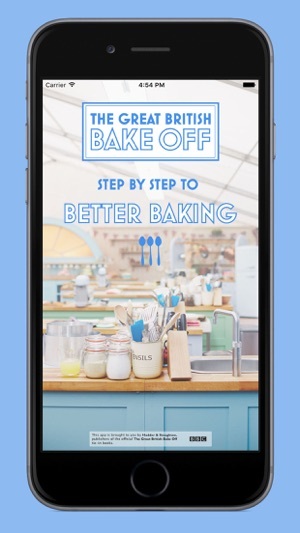 -	A GBBO Baker’s Guide containing expert advice to help improve your skills. 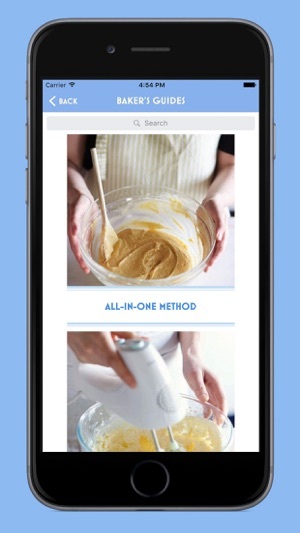 -	An in-app camera so you can snap and share your bakes. -	A personalized shopping list that syncs with your device reminders. -	Timers placed right where you need them. -	Favorite your best bakes so they’re always easy to find. 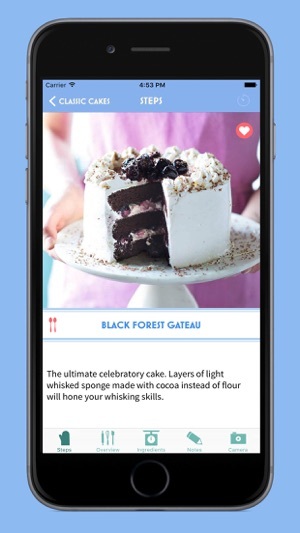 You can purchase additional recipe collections to expand your repertoire and we will update the app regularly with delicious new bakes. Ready . . . set . . . bake! 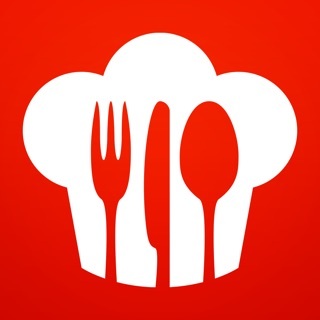 I have tried two recipes from this app now. And I like the variations on traditional recipes. 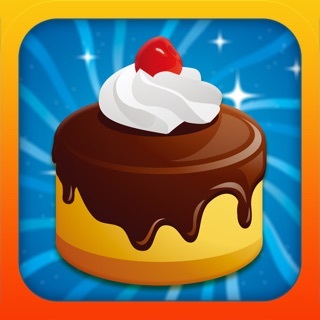 • navigating between the ingredients and the instructions becomes a bit of a pain because the app just hangs which means you have to go out of the recipe and restart the app almost every time you switching between the two. • no auto on feature whilst in the app (like, for example in Kitchen Stories) when your phone switches off, which basically means you have to touch your phone with your floury fingers when moving on to the next step. • too expensive for what it is. I can look most of these recipes up online without paying a penny. The app won't even load on my iPad so have resorted to reading recipes on my phone which isn't very easy to do when baking as the screen is so small. Was expecting much more from this, such a shame so many recipes are hidden behind pay walls. 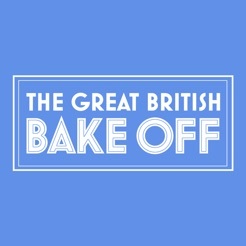 I was hoping it would link more into the current series of GBBO, but the focus seems to be on last year.